Today is the Nativity of St. John the Baptist. I’ve got a special affection for him, as he is the patron of my home parish in the Buffalo suburbs of Kenmore and the Town of Tonawanda. You can read about the parish at http://www.stjohnskenmore.org/ – and it’s a remarkable place. Our first pastor was a saint, St. John Neumann, who was based at a wooden church, later replaced by the stone church (still standing), while covering a wide stretch of parishes on horseback. 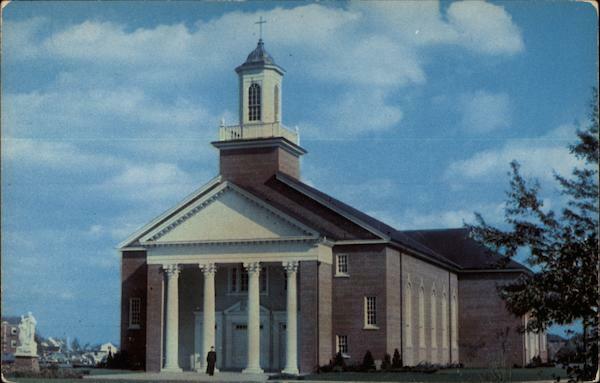 This is a good photo of the fourth church, opened a few years before Vatican II and still serving today. The third church was incorporated into the school, of which see below. Ini front is Saint John, baptizing Jesus Who is stooped down in front of him. A larger-than-life statue is inside of him up front, in camel hair and lifting up a pole topped by a cross, looking like he is going to step right off the wall to lead you forward. 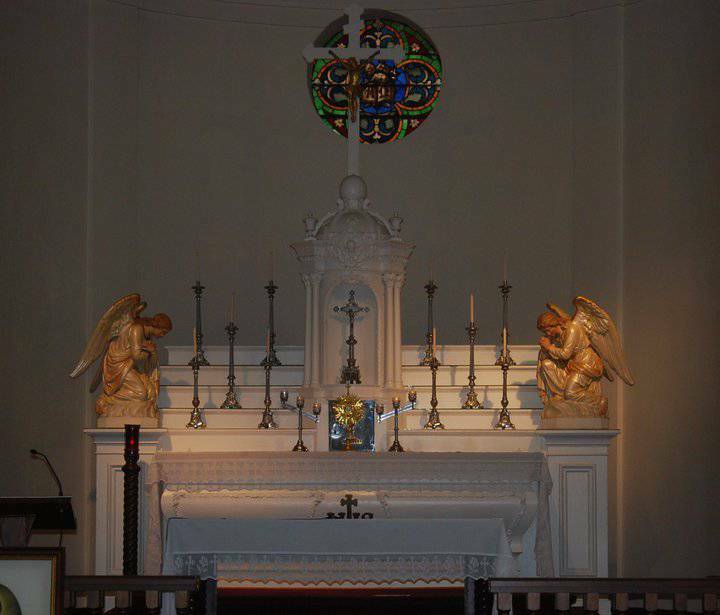 This statue stands in the original church, which is still used today and was a sanctuary of prayer for me for most of my life, and was carved by the saint’s brother who left Bohemia to work alongside his brother. 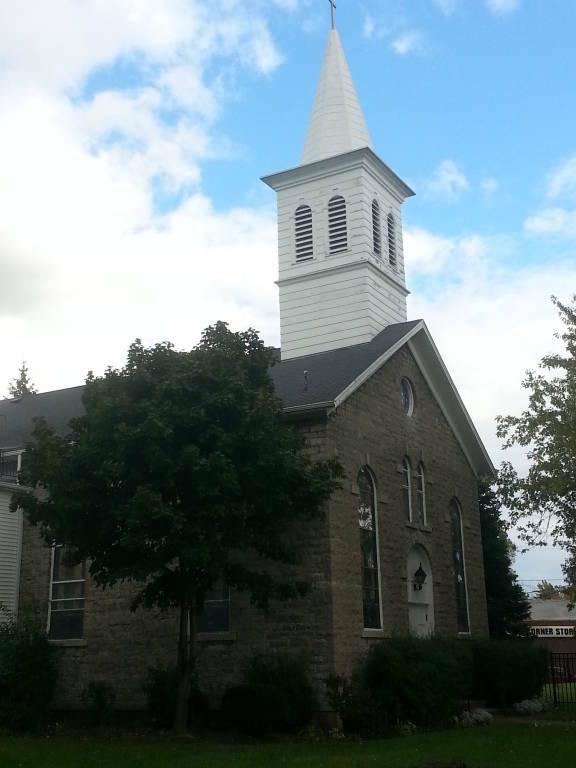 The stone church built by German farmers who settled “North Bush”, now Kenmore-Tonawanda area. The High Altar inside. You can see just how restful and peaceful a place it is! In my youth, it was always open, and I made good use of that. John the Baptist is the only “ordinary” saint whose conception, birth and death are commemorated on the Church Calendar (Sept. 23, June 24, Aug. 29). He is the Forerunner of Jesus, the last of the Jewish prophets, the one who prepared “the way of the Lord” for Jesus’ ministry. The prophet’s birth took place almost six months before that of Jesus, and according to the account was expected by prophecy (Matthew. 3:3; Isa. 40:3; Malachi 3:1) and foretold by Gabriel. St. Elizabeth gives birth to him just one day before the end of a nine month pregnancy – this shows that unlike Jesus, Who is born after a perfect pregnancy, John is only a man, despite his prophetic abilities. The angel appeared to his father, the priest Zacharias, in the Temple sanctuary, but Zacharias doubted the angel’s prediction of conception and birth of a prophet to himself and his wife as they were old. Zacharias lost his power of speech because of his unbelief over the birth of his son, and had it restored on the occasion of John’s circumcision (Luke 1:64). Zacharias, of course, should have known better than to doubt the angel’s word: there were several such occasions in the Bible, beginning with the patriarch Abraham himself, of conceptions by elderly or supposedly infertile women! John was consecrated to God from birth. He went out into the desert, like so many prophets before him, and spent his early years in the mountainous area lying between Jerusalem and the Dead Sea (Matt. 3:1-12). He led a simple life, wearing rope and clothing made from camel hair, not fine linens, and eating “locusts and wild honey” (Matt. 3:4), not meat. This shows that he is a chosen one of God, who depends on God. And he is the last prophet – his duty is to prepare Israel for the Son of the Most High God. After John, no prophet has arisen in Israel since. As an adult John started to preach in public, and people from “every quarter” were attracted to his message. The essence of his preaching was the necessity of repentance and turning away from selfish pursuits in order to serve and love God more. In addition he warned that a greater prophet was coming, and soon, who would transform the world by baptizing with fire. He denounced the Sadducees and Pharisees as a “generation of vipers,” and warned them not to assume their heritage gave them special privilege (Luke 3:8). He warned tax collectors and soldiers against extortion and plunder. His doctrine and manner of life stirred great interest, bringing people from Judea, Galilee, the Decapolis and beyond to see him on the banks of the Jordan River. There he baptized thousands who came in a spirit of repentance. When Jesus comes to the Jordan river, John baptizes Him (reluctantly), at which the Trinity is revealed for the first time. From then on, John “humbly steps aside” as the song says for the feast of Theophany. He is killed by Herod Antipas, because he confronted him and his second wife with the sin of their adultery. According to Scripture, St. Joanna, the wife of Herod’s steward Chuza, abandons this corrupt and wicked court to become one of the holy women who followed Jesus. It is thought that she is a source of information to Luke about Herod’s court. She is also credited with rescuing John’s severed head and burying it on the Mount of Olives, whence it is much later retrieved by Christians. So what is all this say to us now? John is the voice who not only prepared the way for Christ, but convicted people in their hearts of their sins and their failures to love God. In a time when the Name of God was barely ever spoken, he turns their hearts back to God, setting the scene for Jesus’ radical calls. He dies because he speaks the truth – he will not be silenced. An awful lot of people in our society lie today, blatantly, and get away with it. Some are even praised for their actions and quite a few VA workers in the US have been collecting huge bonuses which they did not deserve, having abandoned our country’s veterans for the sake of those bonuses and to “look good” to superiors. Truth will always win – not only does the truth set us free (John 8:32), it is an attribute of God Himself! To be truthful, then, is to imitate God. I’ve never been able to lie – my face will get red, I get flustered. It is my body’s way of saving me from more sins than the ones I already commit. We have to be truthful, to be honest, and we have to listen when the Lord calls us to Him. To turn from Him will result in nothing but grief and sorrow. 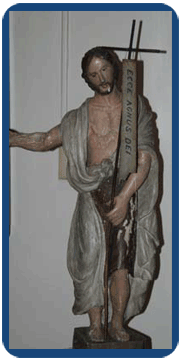 Saint John the Baptist, Forerunner of the Lord, pray for us! Thankyou for your wonderful article! !